What an amazing day we all enjoyed at Joss Bay yesterday! The weather was kind, and the children were absolutely brilliantly behaved. Thank you to all the adults involved -taking EYFS and all of KS1 on a trip was no mean feat! Again, thank you everyone and especially Kandinsky Crew! On behalf of all the children and staff I would like to say a huge thank you to Mrs. Suèr (and family) for her help and guidance this week. Mr.s Suèr has worked tirelessly to ensure that all the children at Longlands had the opportunity to: roll 5 sheets of paper- trickier than you might at first think; feed it through the special STIXX machine, and then use the super strong rods to design and make a chair suitable for a book corner. Everyone that I have spoken to has been buzzing about their STIXX experience and now each class has been set the challenge to design a winning chair, which carries a prize of £50! Thank you again Mrs. Suèr and to the University of Canterbury for the loan of the equipment.We will be talking about STIXX and our chairs for a very long time to come! This week we have been given the challenge to become entrepreneurs and set up our own community café. Kandinsky Crew got into teams to compete to create and run the most successful café. We were very lucky to be invited to The Walnuts Café in Sidcup Highstreet. The Walnuts' team kindly accommodated us all for an hour. During that time we had: smoothies, biscuits and milkshakes. We experienced how a café is run, and the staff showed us how they take the orders and get the food ready. Prior to our visit we had generated a lot of probing questions such as- ' how much profit do you make in a day?' The children were warned that some questions might not receive a reply! Kandinsky Crew came away with lots of fantastic ideas for our own cafés. A sincere thank you from all of the KS1 team! Below are some phonics activities that could help the children become more confident with their phonics. There is also a link to some nonsense words that the children can use to practise their sounding and blending. As part of this term's topic, 'THE ENCHANTED WOODLAND', Years 1, 2/1 and 2, are looking forward to visiting a woodland called Groombridge Place. At Groombridge Place we are hoping to be able to enjoy an outside walk, using our' super senses' to observe nature's beauty and magic. We will be collecting fallen treasures found on the way to use in our art work on return to school. The children will be made aware of woodland safety rules, things that shouldn't be touched or eaten, for example. Let's hope that the weather will be kind to us! What a wonderful world book day we have had. The children all came in this morning very excited to show their wonderful costumes. We talked about each others book characters and read some of our stories. We then read The Lorax, wrote letters, made posters and our own Lorax! 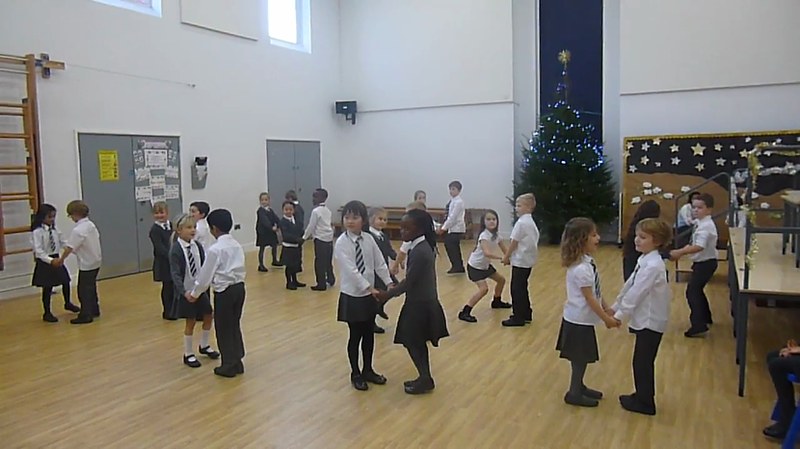 We also had the chance to work with children from KS2 which was so much fun. Welcome to all in the Kandinsky Crew- children, parents, carers, Mrs. Michie, Mrs. Gunn, Mrs Steel and Mrs. Laney . We are all looking forward to working together in the coming academic year. To introduce our dinosaur topic we all went on a dinosaur hunt. We got into pairs and got our explorer hats and binoculars and we went hunting for dinosaurs. When we found a dinosaur we used our sounds to read their name and wrote it on our fact sheet. We found lots of dinosaurs that we hope to learn more about. We have been learning about the difference between a fixed mindset and a growth mindset. We are encouraing the children to have a growth mindset where, even if their task is difficult they don't give up and they keep trying. In Kandinsky class, we have made motivational posters to encourage children to keep going. Our new phrase is 'We can't do it... yet' which means that it doesn't matter if someone can't do something now, if we keep trying we will be able to do it soon. Below is the link for the video that the children have been watching in class to reinforce the power of yet! Today we all had a very exciting morning. We all became rockstars! 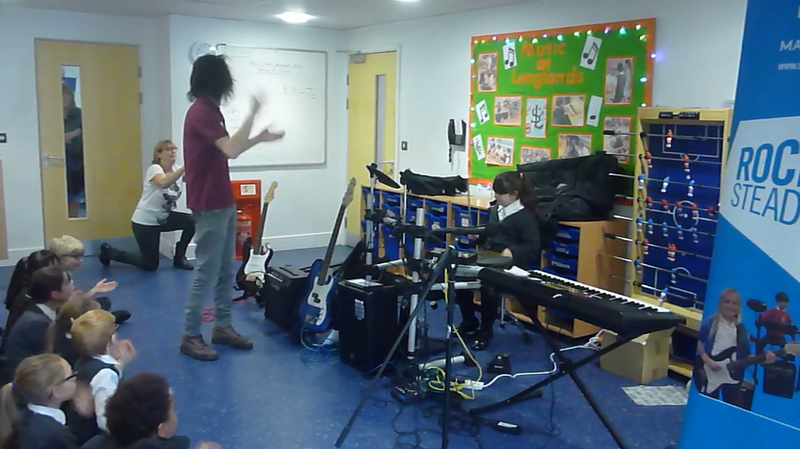 We were all shown each instrument by Matt from Rocksteady and some of us even got the chance to play in a band. 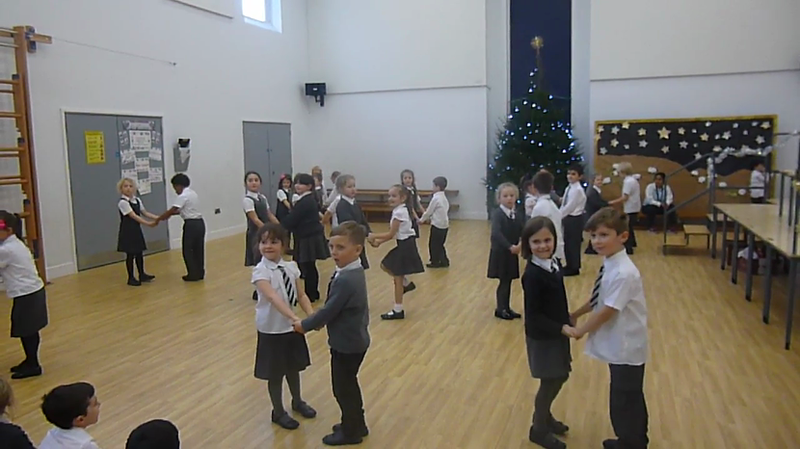 We learnt to keep the beat and the rhythm of the song by clapping to the beat of four. 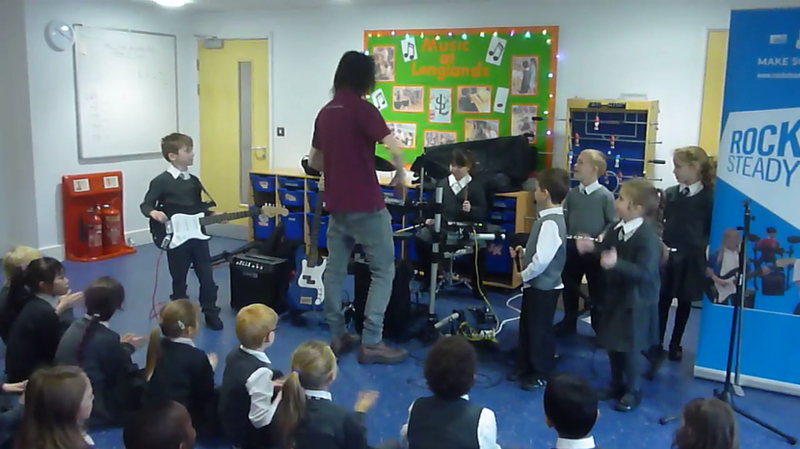 We then needed some of our class to play in our band whilst we kept the beat. We had Crystal on drums, Edilijus on the guitar, Ellen and Tommy on the keyboards. We then all had to become the singers to help Daniel and Francesca at the front. 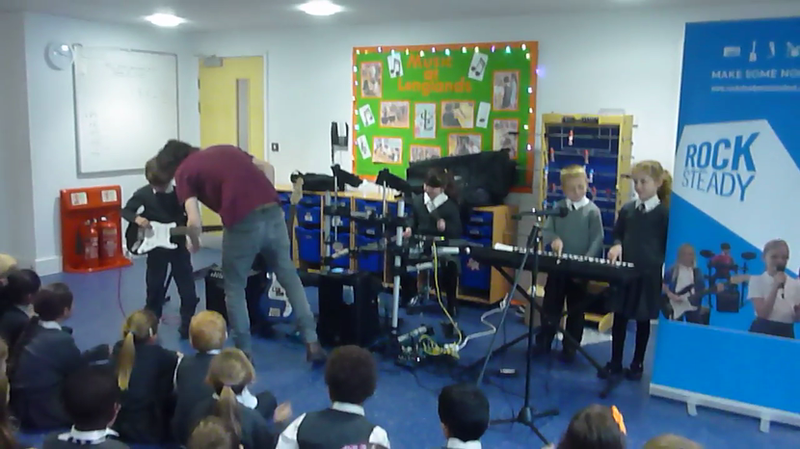 At the end we put it all together for a fantastic performance of our song! 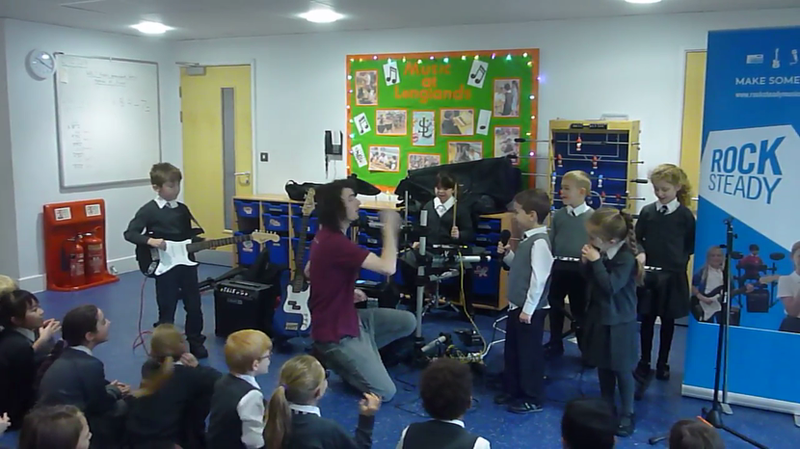 Year 2 Rock Steady Workshop! 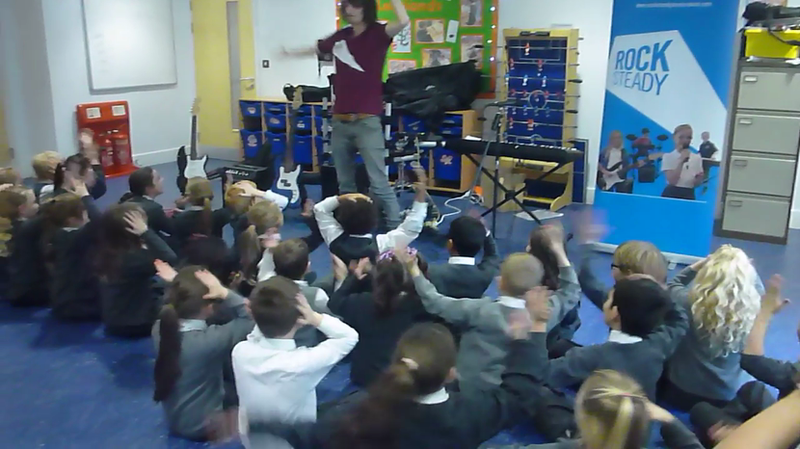 Our Rock Steady Workshop- Forming our band! Today the whole school came together to celebrate St Andrews Day and what a great day we had! It was lovely to see so many children making an effort to wear something blue to school and bringing in things from home to share with the class. The day started with an assembly where the children learnt about the story of St Andrew and why he is the patron st of Scotland. We also had a parent from the school who came along especially to talk to the children about some Scottish traditions. Can you remember the story of St Andrew or any scottish traditions? To celebrate the day the whole school were set some challenges. The class had to imagine what they thought the Loch Ness monster might look like and create a class Loch Ness monster. They also had to work in their houses to create a tartan for their house, which would be judged by the house captains and a winning tartan would be chosen to represent the house. Finally the children also carried out some role play and imagined they had spotted the Loch Ness monster. They then used this to help them write a description of what the Loch Ness monster looked like. To end the day the whole school came back together for a celebration assembly to share all the work they had done throughout the day. It was a great day and I'm sure that Kandinsky Class are looking forward to the next day of celebrations for St David's Day in March. Today the children recieved a visit from Bexley's School Waste Action Club. The day started with an assembly in which the children learnt the difference between litter and rubbish and how we can help look after our environment by remembering to use the 3 R's. Can you remember what the 3 R's stand for? Later on that day the children carried out two activities focused on the second R, reuse. The children learnt that rather than recyclying scrap paper we could also keep it and reuse it to make something new. The children were taught how to make an envelope out of a piece of scrap paper and also turned another piece of scrap paper into a beautiful marbling picture. This week we have been Going Green. We have been working in teams and learning all about how we can save our planet! We have learnt about what an environment is and we have analysed our own school environment to see how eco-friendly we are. We thought of ways that we can help the school to be more green! We created our own campaign and made posters to spread the news around the school to make sure we are a green school. We produced a role-play to send out our campaign message to others and created our own top tips for presenting. 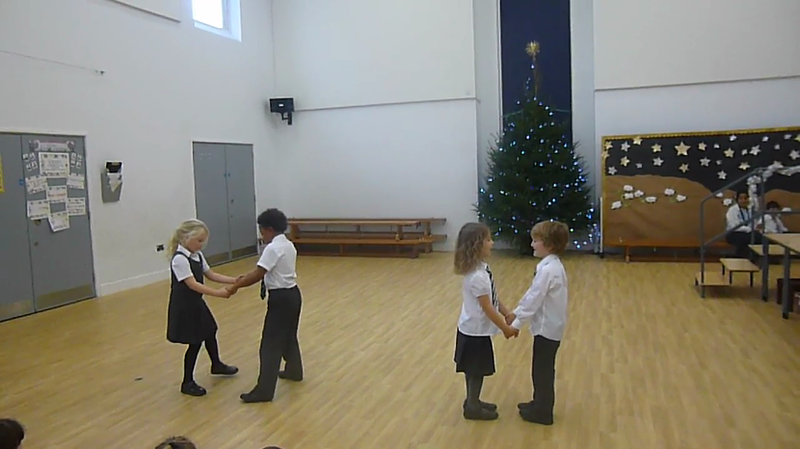 Lastly, we spoke about all that we have learnt in an assembly and showed all our wonderful work. In KS1 we have had a very exciting week. We began the week by designing our superhero costumes, we have made masks out of paper plates and we have made belts and cuffs. We thought carefully about our designs and motifs. Then we followed this by going on a trail. Professor Slime an evil villain had left us fiendish instructions, hoping that we would follow them. But what he didn’t know was that we had transformed ourselves into a band of mighty superheroes. We found them quickly before other children could find them and make bad choices. We made a plan of how to turn his instructions into instructions fit for a superhero. We created posters to advertise this. We finished the week by creating a comic strip of our adventures throughout the week. This work has now been put on display. After Half term we will be learning about plurals. Have a go at this Planetary Plurals Game! Plurals! Another game for you to play at home to practice plurals. We are learning about the past tense in class. Real Heroes Visit Our School! We were very lucky that today we had a visit from some real heroes in our local area, police officers. We prepared questions to ask them so that we could find out more about their lives, jobs and exactly what they do day to day. The police officers who came were extremely friendly and answered all of our questions. they also allowed us to see the items that they carry around with them and explained what they were for. Some children got to try on their vests and hats! We are now going to be writing about a day in the life of a police officer putting ourselves into their shoes and seeing what it would feel like to be a hero! Another great week has come to an end and Kandinsky class are settling extremely well into Year 2. We have been working very hard. We have begun our superheroes topic and we been busy writing riddles, similes, onomatopoeia, adjectives and adverbs all about superheroes. In our computing lesson, we learnt how to copy and paste an image from Google onto a powerpoint and make a montage. I was very impressed to see that many children went home to practice the new skill that they had learnt. Max and Ruby brought in printed copies of their work and John even brought his on a usb stick to show us all. I have uploaded it below. Well done John! Well, what a great first day back! I am looking forward to the year ahead, full of wonderful children and some super learning! Make sure that you regularly check this page for updates!